Bellefield Systems, LLC, the leader in mobile time entry solutions for firms of all sizes announces today that it’s flagship product, iTimeKeep, was recognized in the ILTA 2013 Technology Survey as the most used mobile time entry solution. The survey reports the input of 494 firms representing more than 88,000 attorneys and 189,000 total users. The results of this year’s survey demonstrate that iTimeKeep increased its market share to become the #1 time mobile entry solution in legal. Results of the survey also suggest that attorneys are using their mobile devices more than ever before to enter their time contemporaneously. This year’s ILTA Technology Survey shows a 300% increase in iTimeKeep’s customer base, compared to last year. In just the two short years since iTimeKeep’s initial release, it has blown past the other vendors cited in the survey. Firms that implemented a mobile time entry solution in 2013, chose iTimeKeep four times more often that its closest competitor. Survey results demonstrate that iTimeKeep is the preferred mobile time entry solution of attorneys. The ILTA survey also measured apps used by attorneys. Among those mentioned in the survey, iTimeKeep was among the most widely used legal-specific non-native tablet/iPad app used for business purposes in law firm. "We are thrilled to be recognized in this year’s ILTA Technology Survey,” said Bellefield Co-Founder Gabriela Isturiz. 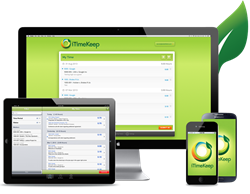 Isturiz added, “iTimeKeep was built to be a mobile time entry solution that attorneys want to use. Based on this year’s survey results, we’ve achieved that. Our unrelenting commitment to innovation will allow us to continue to provide mobile time entry solutions that attorneys love in the years to come. "